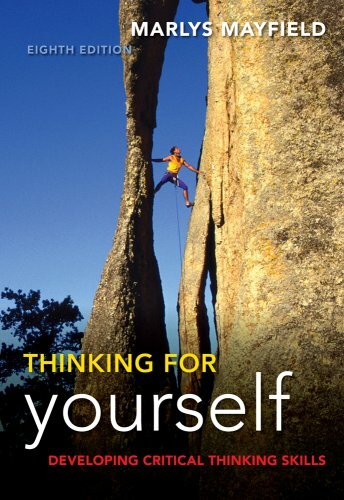 THINKING FOR YOURSELF: DEVELOPING CRITICAL THINKING SKILLS THROUGH READING AND WRITING offers a unique integration of composition, reading, and critical thinking. As you complete the book's writing assignments, you'll see how your writing reflects your thinking and how self-directed improvement in thinking also improves writing. The book offers step-by-step instruction, humor, cartoons, Internet research exercises, and up-to-date social and political examples as a foundation for lifelong improvement in thinking and writing.